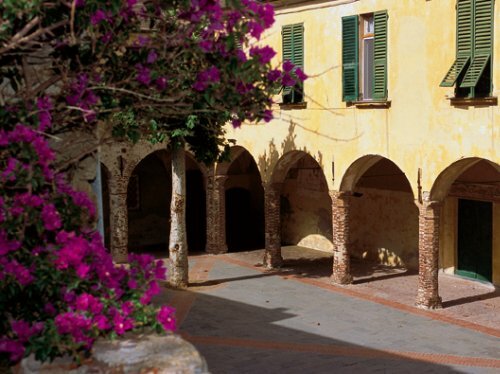 Like every Ligurian maritime town, Moneglia aLso has its medieval caruggio or the narrow street which cuts through the centre, dividing it in two, running parallel to the shore and hemmed in by the tall houses with their coloured fronts and the renaissance archways sculpted in slate. 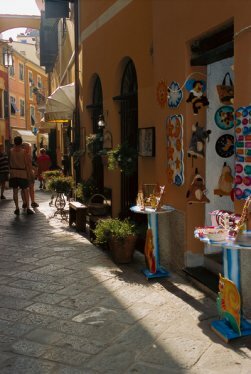 The main traffic thoroughfare, once trod by local farmers, fisherman, merchants and pilgrims today goes by the nome of 'via Vittorio Emanuele' and is the "fine living room of Moneglia", where it is pleasant to stroll after the beach, peering into or making purchases in the shops that bring the street to lite. 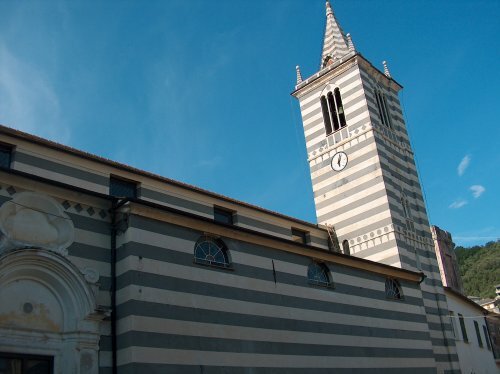 At either end of the caruggio are Moneglia's two historic churches; to the west is the church of San Giorgio which dates back to 1396, although it was restored in the early 1700's. 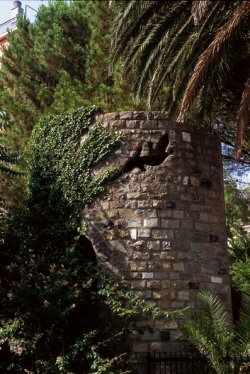 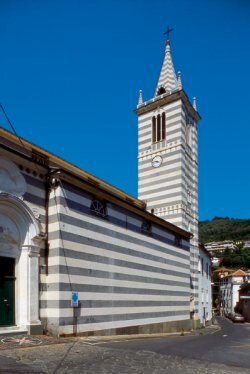 The black and white 'stripes' of its bell tower, in authentic Genoese stile, tower above the roofs of the houses. 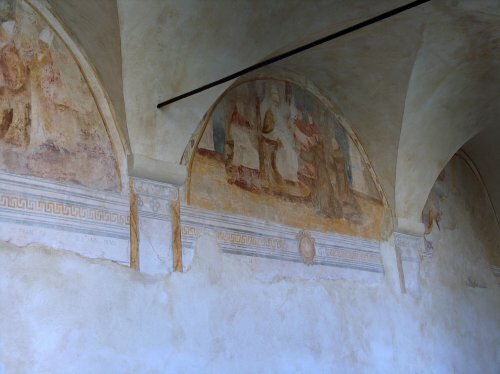 Inside, it holds some fine examples of 15th century painted panels. 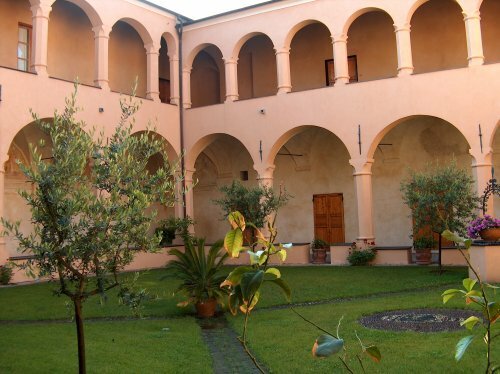 The 15th century Franciscan cloister is a silent and mysterious corner, often used to hold exhibitions and concerts. 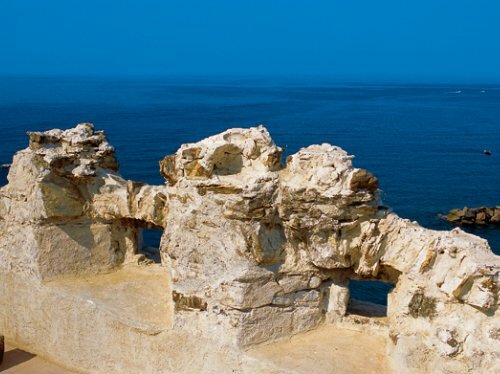 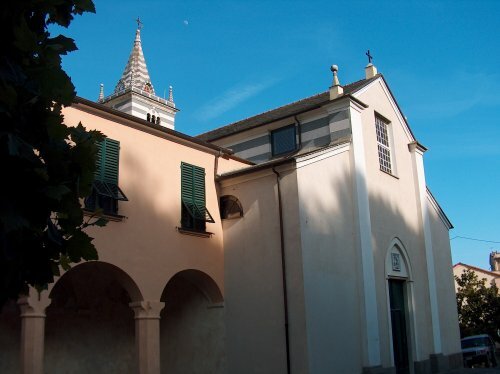 To the east of the town is the Oratory of the Flagellants, which dates back to the 10th century and is decorated inside by four series of frescos painted one over the other and dated fromm 1200 to 1700. 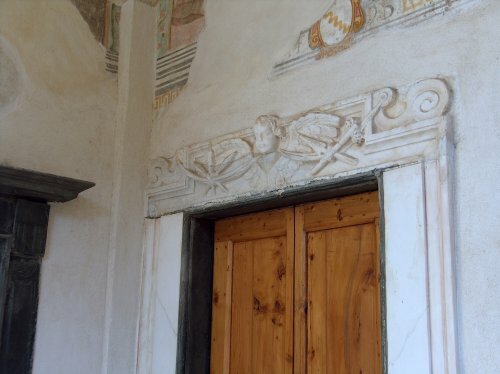 Here, too, concerts are held as well as other cultural exhibitions. 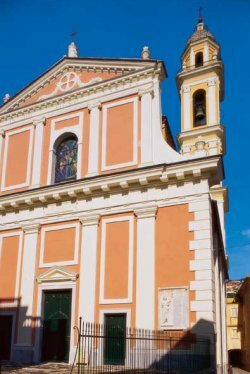 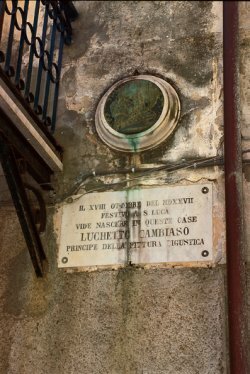 Next door, the 18th century church of Santa Croce (Holy Cross), stands on sto ne dating back to the 1100s; it takes its name from a Byzantine crucifix found on the beach after a shipwreck. 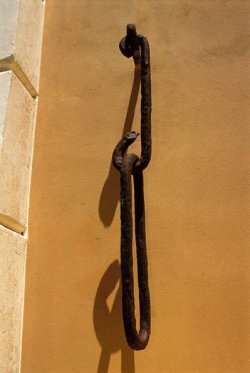 Also worth noting are the Madonnas, wooden sculptures attributed to Maragliano. 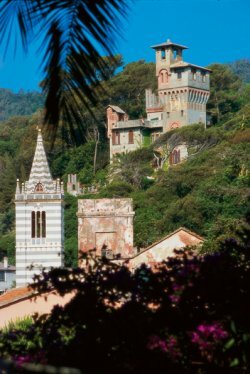 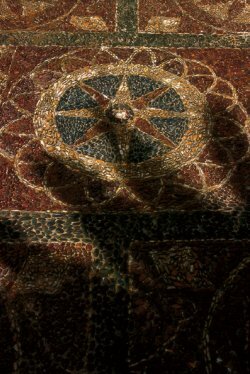 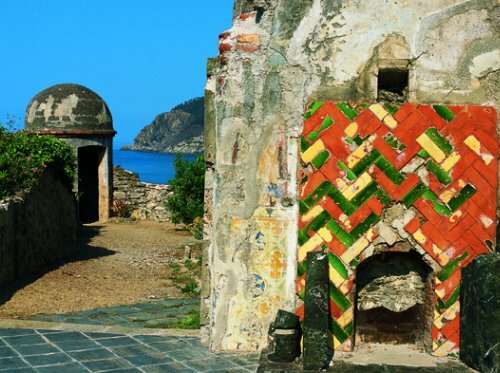 A real treasure is the superb mosaic in multi-coloured cobbles, or risseu in Ligurian dialect, in the church courtyard, certainly one of the most beautiful of its type in all of Liguria.